Read teasers of the what will be showing on On The Other Side Of The Wall on Telemundo in November. Lorena is kidnapped and locked up. Eliza and Karina talk about how proud they are of each other. Alondra is arrested. Lorena and Joel hold the Senator at gunpoint, while he holds a knife to Sofia’s neck. Jennifer kills her stepbrother, pushing him into the pool. The Texas senator is arrested and interrogated. Ernesto calls Alejandra to tell her that his marriage proposal is serious. Alone in Alejandra’s house, Alondra looks around and finds the pictures that Sofia took of her. Julian and Karina talk about their relationship. Andrés and Eliza find Steve’s open computer, on which a purchase receipt of a ticket to Spain appears. Carmen unloads her anger on Max. Lorena faces treason charges. Sofia tells Joel that she is considering accepting Ernesto’s proposal, even though it will be a nightmare. Tomás is devastated after Frida leaves him. Jennifer writes a letter addressed to Eliza on behalf of Steve, justifying his departure. Patrick expels Lorena from Interpol, and she is made to turn in her badge and weapon. Andrés considers telling Eliza that he is in love with her. Eliza admits that she misses Max. Raquel steals some jewellery from Carmen, and uses it to repay Coyote. Lorena is inconsolable after losing her job. Raquel travels to the border, hidden in a truck. Meanwhile, at the family reunion, Carlos Esparza introduces his son, Beto. Joel finds Raquel and the other undocumented people unconscious in the truck. Eliza thinks about Andrés’s marriage proposal. Joel saves the life of Raquel and two other undocumented immigrants. Raquel wakes up in hospital and sees Santiago with her. 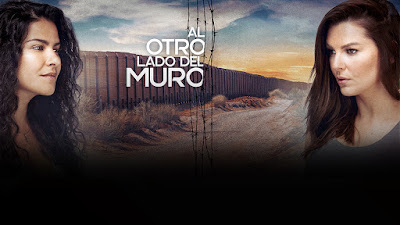 Eliza, tired of fearing deportation, decides to accept Andrés’s proposal, but clarifies that it is out of convenience, not because she loves him. After the robbery at Max’s house, the police arrive, and Jennifer is afraid that they might find what’s hidden in the freezer. Jennifer threatens Max with reporting Eliza to immigration if he doesn’t sleep with her. Tom has nightmares about the robbery. Sofia reveals that she is considering remarrying Ernesto in order to protect her daughter. Julian finds out that Raquel was deported. Raquel and Santiago decide to work with Carmen. Eliza tells Andrés that she is concerned about Tom’s love affair, and Andrés promises to talk to him. Lorena hides an envelope that is addressed to Joel. Alondra hits Alberto after he tries to kiss her. Garza mistreats Frida once again. The coroner tells Joel why he was forced to hide the documents that prove Sofia’s innocence. 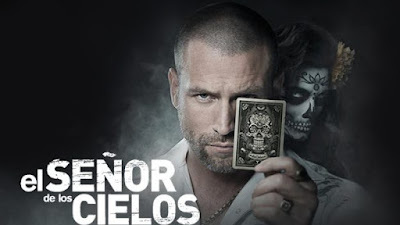 Andrés pays Tomás’ debt to the gang members. Max puts Jennifer in a psychiatric hospital. Meanwhile, Joel asks Lorena about the documents that Marquez sent her, and she lies to him. Max and Tomás are reconciled as father and son. Lorena admits that she destroyed the evidence that exonerates Sofia out of jealousy. Sofia and Alondra recognise each other as mother and daughter. Paula tells Ernesto that she gave up a normal life to be with him.